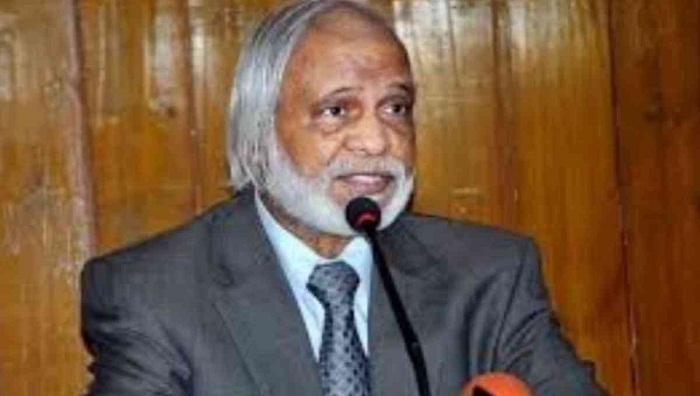 BNP senior leader Dr Abdul Moyeen Khan on Friday alleged that the government has imposed an autocratic rule in the country undercover of democracy. “The government has established an unwritten one-party rule Baksal, but they pretend to be democratic and often talk about democracy,” he said. He said a government which pretends to be democratic is more dangerous than an autocratic regime. Jatiyatabadi Mohila Dal arranged the programme in front of the Jatiya Press Club demanding the release of BNP chairperson Khaleda Zia. He alleged that the government sent Khaleda to jail as part of its plot to eliminate their party, but BNP still remains united and a strong party. The BNP leader said the 11th parliament does not represent people as it was formed through an election of ‘vote rigging and vote robbery’. Speaking at another human chain programme, Gonoshasthya Kendra founder Dr Zafrullah Chowdhury urged all the democratic forces to take to the streets to realise people’s rights. “There’s no alternative to waging a strong movement to realise people’s rights. Democracy won’t be restored unless all political parties get united and take to the streets,” he said. Desh Bachao Manush Bachao Andolon formed the human chain in front of Jatiya Press Club, demanding Khaleda’s release. Zafrullah urged BNP leaders and activists to get organised and wage a strong movement to have Khaleda released from jail.